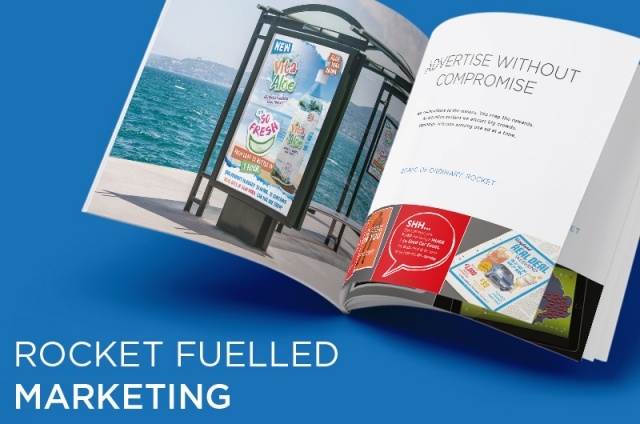 Would you like to know more about our Rocket Fuelled marketing services? First of all is your footfall more of a soft shoe shuffle than a raging stampede? Is your sales spike more of a stalagmite than a skyward hike? If your engagement seems to be more whispered pleasantries than widespread power to the people then more importantly you might need some Rocket Fuelled thinking. Whether your requirement is large or small, online or in the real world, our diversity of marketing services and wide ranging expertise are what you’re looking for. Rocket is a talented team of multi-disciplined designers, marketers and public relations specialists. Most importantly we produce intelligent and compelling, commercially driven results. We give messages their punch. Make your products & services a must have and drive sales skyward.